New Terabyte harddrive has incredible capacity for your music collection ~ can hold up to 13,000 full CDs! A CD is loaded into the system's DVD drive. A broadband internet connection immediately locates and downloads all CD information – including the cover art – free! 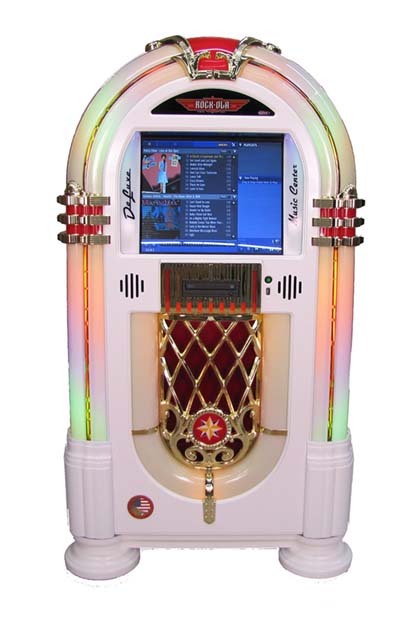 The CD is automatically loaded to the music system hard drive. 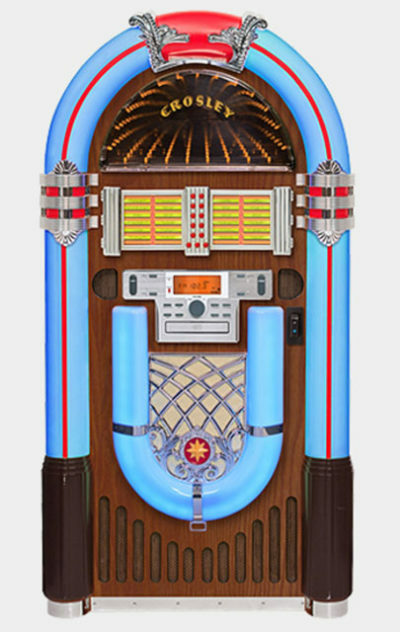 Home-made compilations and self-recorded music may also be loaded – the touchscreen allows manual input of information not otherwise available. 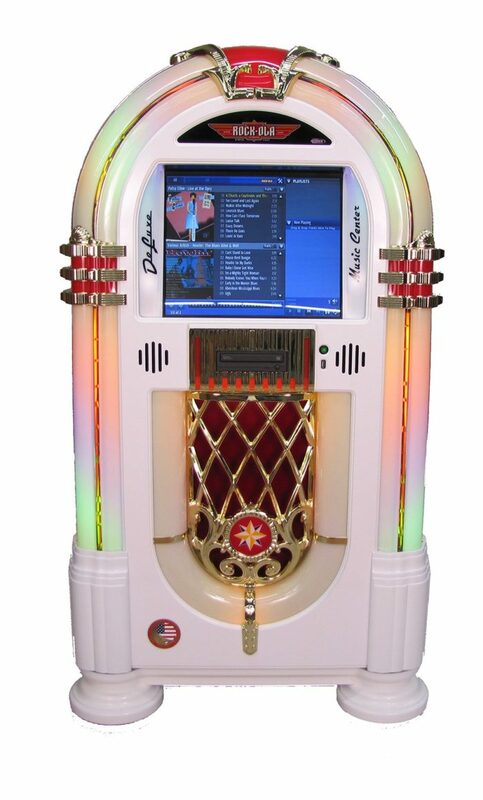 This digital music center also has the ability to play background music via an MP3 player through the RCA inputs on the jukebox. 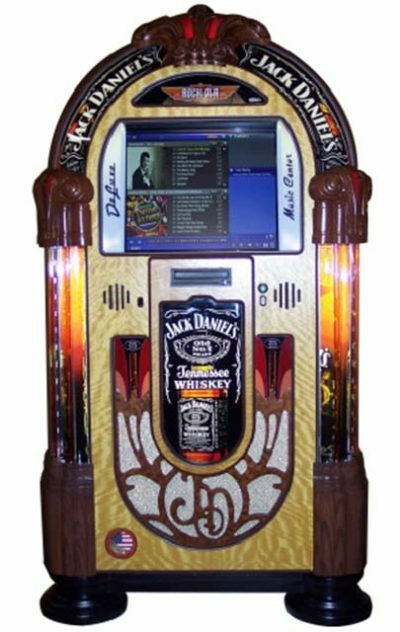 The MP3 player is the background source and it is cut out when someone makes a selection on the jukebox. 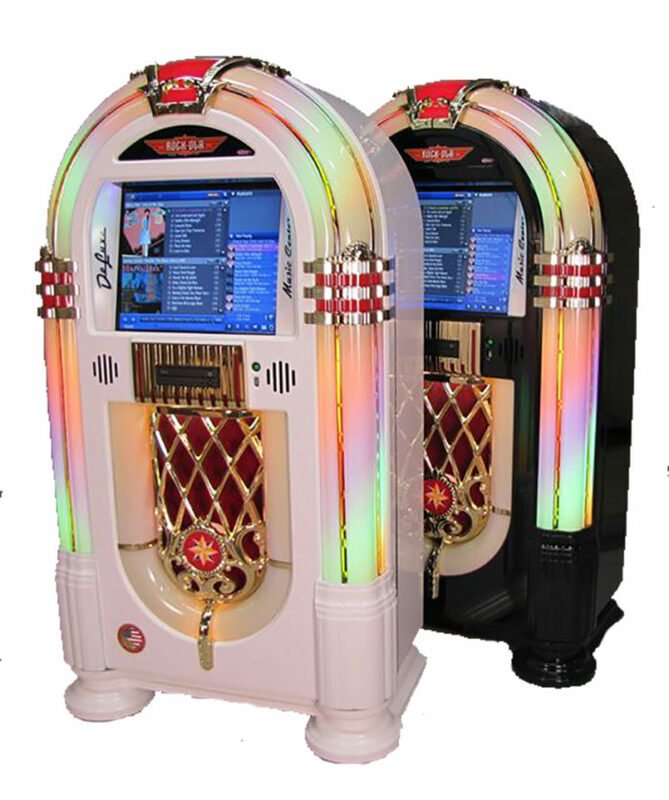 Users can also transfer music to the jukebox in a MP# format through the USB port on the front of the jukebox. Detailed information about these functions and how to set them up exists in the user manual and can also be explained by an authorized Rock-ola retailer. collection by Artist, Album, Genre, and more! albums available for play at a finger touch! playlists based on Theme, Tone, Style, or Era, automatically using the built-in Tapestry interface. 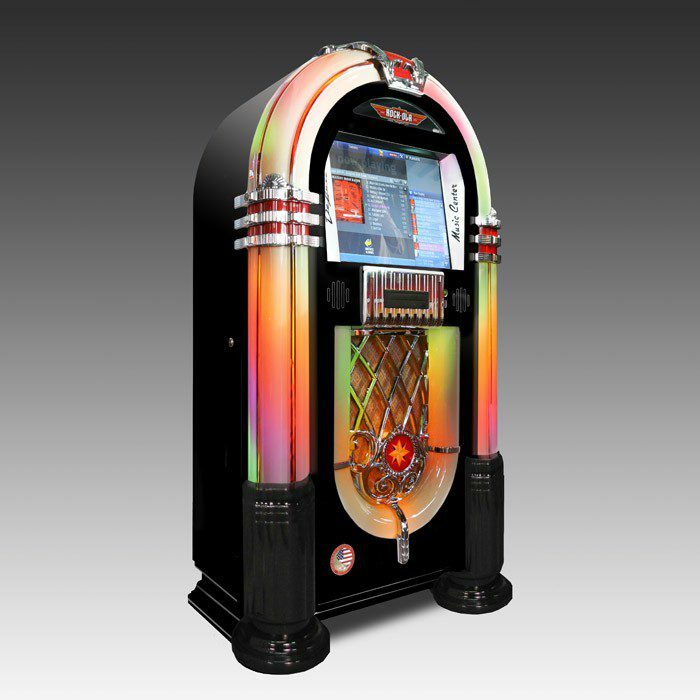 The QB-PV is the first Home entertainment jukebox to feature the Peavey 1600 watt amplifier. cycle – at no additional charge! 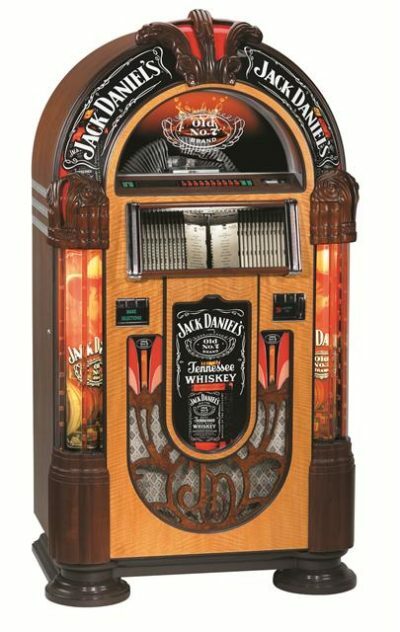 Jack Daniels Custom CD Jukebox by Rockola!